The habeas corpus hearing of Mark Seawell, 43, proceeded today in Supreme Court No. 1 in Belize City. 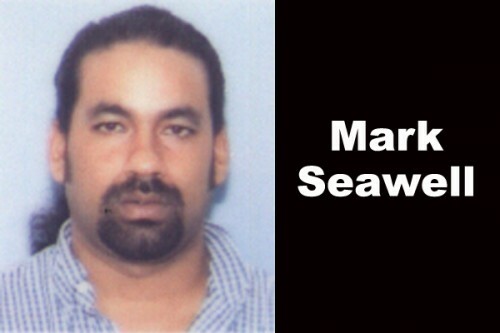 The hearings are to decide Seawell’s fate in regards to an extradition request that has been issued by US authorities, who have accused Seawell of being involved in a drug smuggling ring that transported cocaine to the US through Mexico. He is also accused of being engaged in the sale of marijuana between 1994 and 1997. The case began on August 15 with Seawell’s attorney, Arthur Saldivar, presenting his case before Chief Justice Kenneth Benjamin. Saldivar spoke for about three hours before the case was adjourned until today so that the Government’s attorney could present its case. Crown counsel Magali Perdomo today presented Government’s case and started by outlining what the court ought or ought not to accept in terms of habeas corpus applications, noting that this is the first habeas corpus case after Rhett Fuller’s. She also mentioned that there should be no substitution of the decision of the then Chief Magistrate and that the evidence presented by Mr. Seawell is insufficient. The case was then compared to that of Rhett Fuller, accused of murder in the US in 1990. Perdomo spoke about the issue of abuse of process and the difficulty in ascertaining what constitutes abuse of process in the context of a habeas corpus hearing. She maintained that the evidence does establish a prima facie case against Seawell, as was declared by then Chief Magistrate, Margaret McKenzie. She also argued at the time that the defense had failed to establish whether the extradition is unjust, unlawful or oppressive. Thereafter, Saldivar made his rebuttal on behalf of his client and the Chief Justice then adjourned the matter for another 3 weeks to review the arguments. After the adjournment, Saldivar told Amandala that he is confident that his client is innocent of the charges being levied against him and he is confident that the case will be ruled in his, Seawell’s, favor.